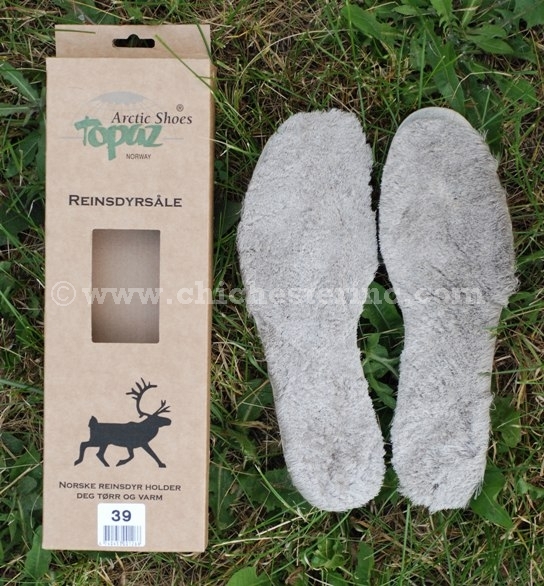 Add these reindeer fur insoles in your boots to keep your feet warm in the winter. Reindeer fur is the warmest fiber known. The insulating properties of reindeer fur keep reindeers warm in the harshest weather. Each follicle is hollow and traps air inside to help maintain warmth. 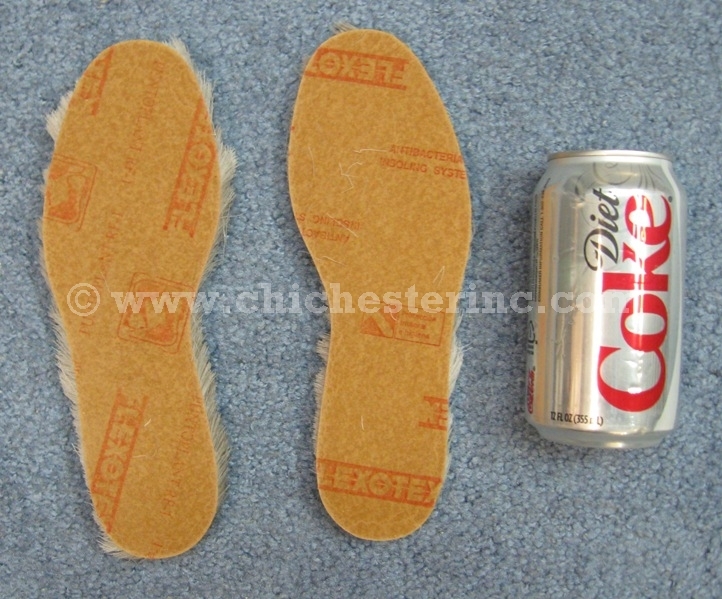 These insoles are for anyone who is tired of having cold feet. They have done well with hikers, climbers, mushers, winter sports enthusiasts, hunters, construction workers, and many others. These are available in European sizes 36 to 47. See our shoe size conversion chart for the equivalent U.S. sizes. Expect some shedding. Reindeer hair is hollow and does break with time. 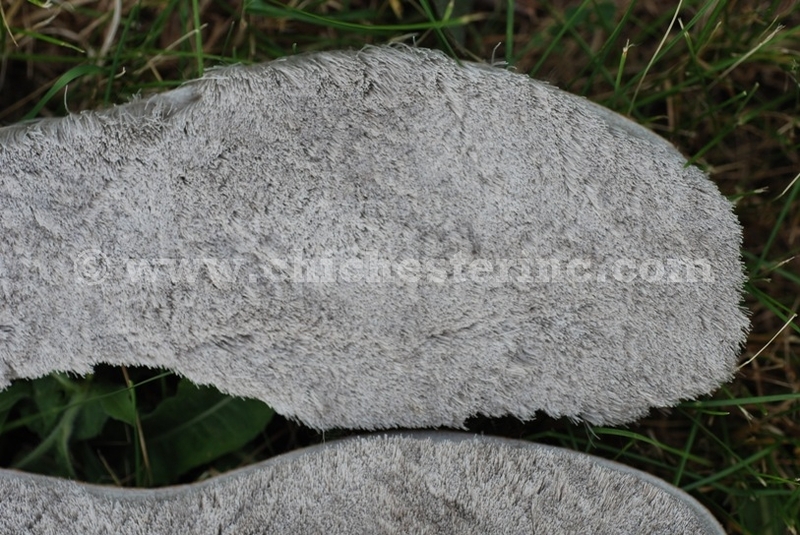 Please do not order these if you think you will be disappointed by some shedding. Reindeer are not an endangered species and are not subject to CITES controls.